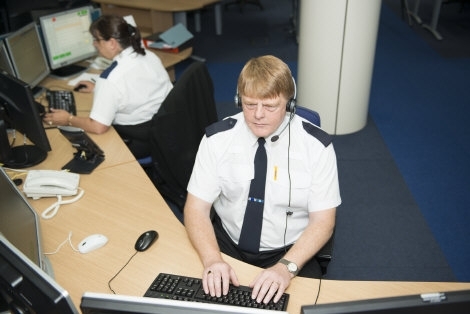 A police control room will close with two call centres set to cover three forces. Approximately 800 people are employed in the force control rooms in Bedfordshire, Hertfordshire and Cambridgeshire although it is unclear at this stage how many jobs will be affected. It has been confirmed that Bedfordshire's control room, which handles 101 and 999 calls, based in Kempston will close by March 2017. Hertfordshire's, 36 miles away in Welwyn Garden City, and Cambridgeshire's, 23 miles away in Hinchingbrooke, will remain open. The forces need to find £56.6million of savings between now and 2020 with the three expecting to save £4million a year from this merger. Beds, Herts and Cambs claim the move will lead to "increased resilience and responsiveness" when dealing with calls. This is the latest merger between the trio with collaborations in roads policing teams, major crime units, firearms, forensics, HR and training already in operation. More savings are expected by 2019 when it is anticipated that a wide range of further "joint operational and organisational support functions" will have been established. The latest proposal is subject to staff consultation with the forces stating they aim to introduce new technology to make it easier for the public to get in touch. The decision was made during a meeting on Thursday between police and crime commissioners and chief constables for the three counties. Jon Boutcher, Temporary Chief Constable of Bedfordshire Police, said: “Budget cuts and the current funding provided to the force have meant that we need to explore new ways of working to make the best use of the resources we have. “Working together with our neighbouring forces to deliver collaboration in appropriate areas, along with introducing new technology, the force can better meet the necessary savings without compromising our frontline capabilities. We continue to explore further options to increase efficiencies and improve the effectiveness of our service delivery. Bedfordshire’s Police and Crime Commissioner Olly Martins stated: “Our financial circumstances mean that we have to take some really tough decisions about how to make savings, protect our frontline and invest in service transformation through new technology, all at the same time. Police and Crime Commissioner for Hertfordshire, David Lloyd, added: "This initiative will help modernise our response to the public of Hertfordshire from our existing control room in Welwyn Garden City, providing a better service through improved technology and earlier resolution to matters that people need to contact us about. "The development of on-line access to key services is the realisation of a key aim of my police and crime plan." Hertfordshire Chief Constable Andy Bliss said: "I want my front line teams to get the best possible support out on the streets especially when they are tackling crime and protecting the public in challenging or dangerous situations where immediate access to information really counts. "Hertfordshire leads on this major development supported by talented colleagues from across the three forces." Police and Crime Commissioner for Cambridgeshire, Sir Graham Bright, said: "The decision means we can move to staff consultation and detailed implementation planning. "The proposed changes mean that people will benefit from an improved, more effective and efficient service." Cambridgeshire Chief Constable Simon Parr added: "Over the past five years we have made great strides to transform how we deliver our services to the public, through enhanced use of technology, while continuing to maintain our frontline officer numbers. "We hope that this proposal will enable us to not only improve the ways in which the public can contact us, through enhanced customer service technology, but also help us meet the savings we need."